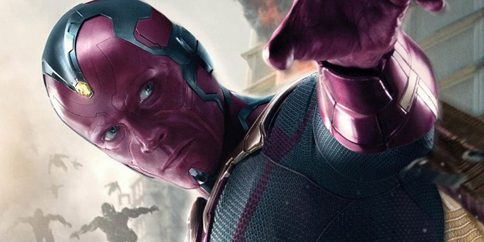 Age of Ultron's Paul Bettany is coming to Manila! Asia Pop Comic Con Manila has a cool lineup of stars. (SPOT.ph) Mark your calendars, folks: Just 10 days from now, Manila is set to begin its transformation into a kingdom of geekery. Slowly, but very, very surely, the organizers of Asia Pop Comic Con Manila (APCCM) have been whetting geek appetites all over the country with its lineup of guests, especially with the recent announcement that Colton Haynes (of Arrow and Teen Wolf fame) would be coming to join the party. Despite the disappointment that followed the cancellation of Jason Momoa’s (Game of Thrones’ Khal Drogo and Batman v. Superman’s Aquaman) appearance due to a “last minute filming schedule conflict,” the geek gods still smile upon APCCM as it was revealed that J.A.R.V.I.S.-slash-The Vision himself, Paul Bettany, would be co-headlining (with Haynes) the much-hyped event (presumably to speak about his tenure as Tony Stark’s disembodied digital assistant). Asia Pop Comic Con Manila will be held from September 17 to 20 at the World Trade Center in Pasay City. Other guests at the convention will include Jeremy Shada (Adventure Time’s Finn), renowned comic book artist Whilce Portacio, Allison Harvard (of America’s Next Top Model), and cosplayers such as Lee Anna Vamp and Riki LeCotey. Tickets are available at the APCCM website, with prices at P500 (One-Day Pass), P800 (Two-Day Pass), and P1,000 (Three-Day Pass). Although not available yet, the website also lists the V-Pass (U.S. $250) and X-Pass (U.S. $1,000) as options for those who would like priority status at the event. For more information, check out Asia Pop Comic Con Manila's website. Also read: Arrow and Teen Wolf star Colton Haynes is coming to Manila!